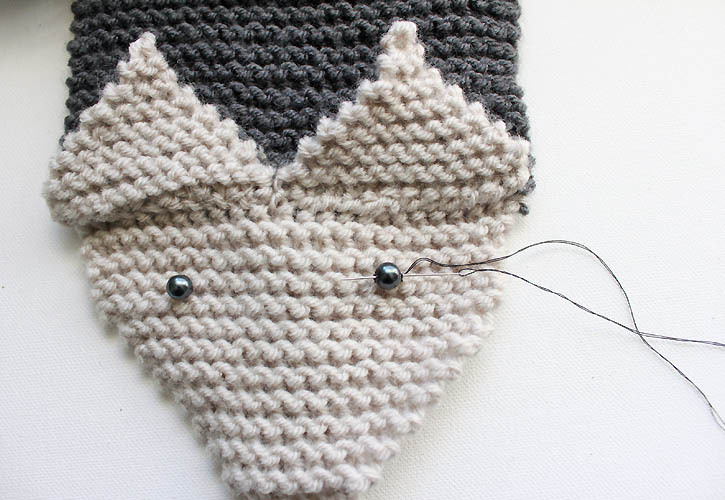 This fox scarf knitting pattern is a fun take on the fox stoles that were considered the height of glamour in the 1920’s and 30’s. 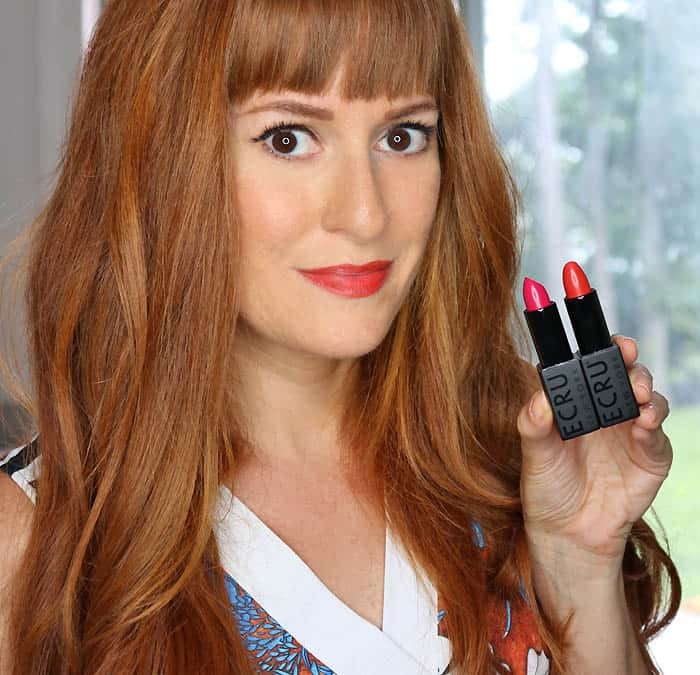 I always found the original ones kind of creepy and sad, so I decided to do my own cruelty free take on it! 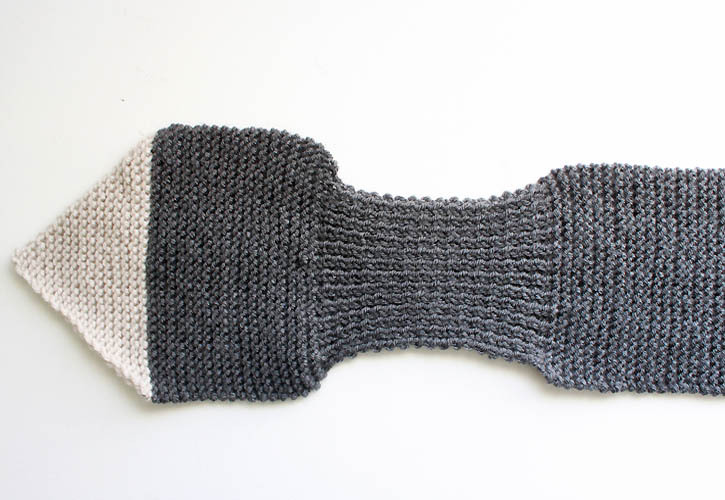 This scarf may look complicated but it’s actually pretty easy to knit. It’s a combination of garter stitch mixed in with some ribbing. A hidden loop under the fox head holds the tail in place while you’re wearing it. 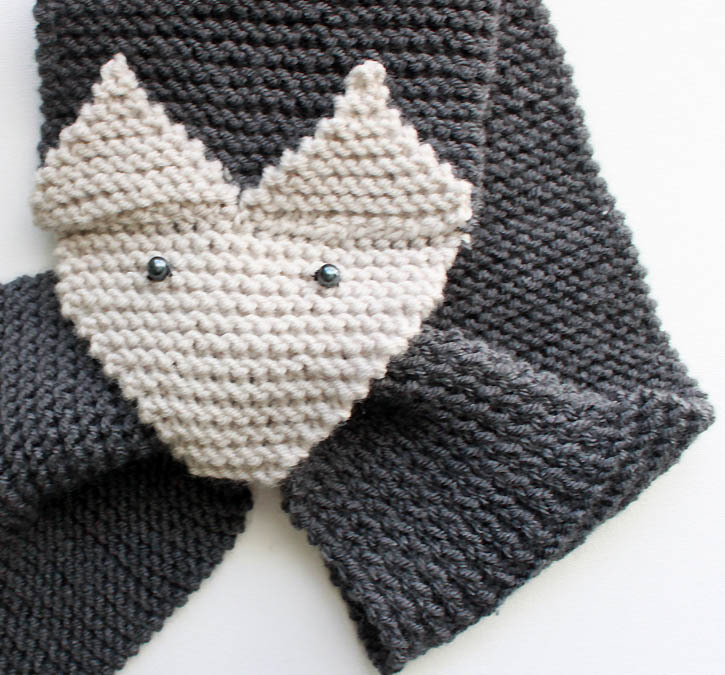 I think this little guy turned out pretty cute and best of all, no foxes were harmed in the making of this scarf! 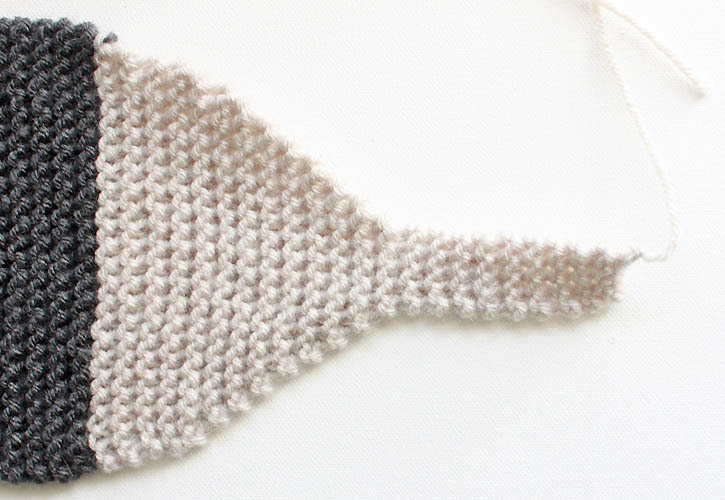 Happy knitting!Scroll down for the pattern or click below to buy the ad-free, printable version for a small fee. The printable version is an instant download that conveniently prints on 2 pages. Me too looks like it's easy. Have the yarn and ready to go. When you complete the ribbed portion do you increase back to 32 stitches for the head? So far it is looking good. Thank you. I quit knitting for tonight, will be sure to check for your answer to my question before I go forward. The part I've knit so far is so cute. Thanks a bushel. Hi- after the ribbed portion, do not increase back to 32 stitches. Thanks Gina. I was away from home a couple days, ready to get back to knittin'. Oh dear, I used the wrong needles and yarn size too (American sizes always fox me. 😛 ). The tail width 19 cm (7 1/2 in) but it's nice and warm! Finished my second scarf. Recipients love the fox scarves!! I would LOVE a crochet version of this to make. After the ribbing do we continue another 20 inches or continue until the scarf is 20 inches long? I a. 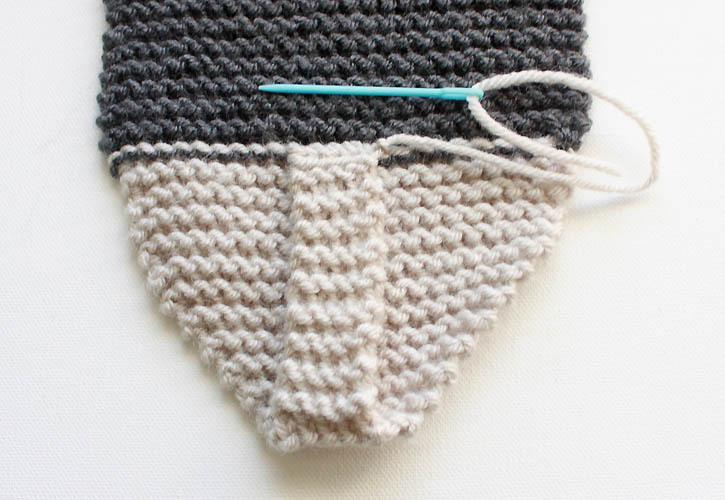 New to knitting and this is super easy…except I too read the needle size wrong….oh well. It's still going to be cute. I can not seem to get the tail right, it gets uneven and driving me mad! How on earth can yours be that wonderfully even? Mine looks like half a triangle.. Straight on one side and a staircase on the other! 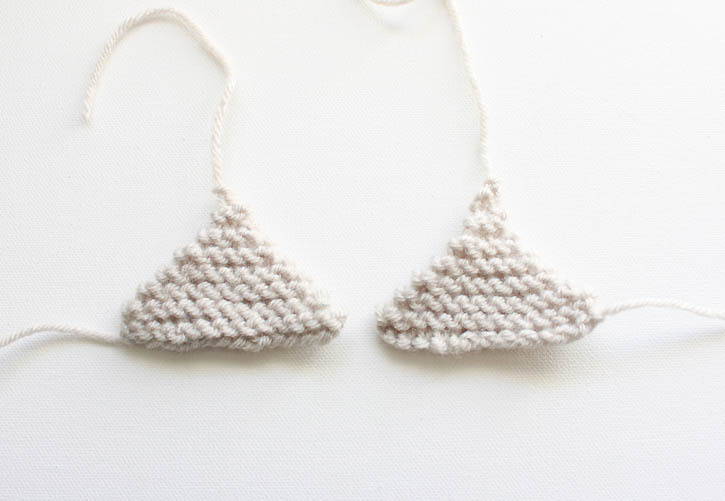 Could anyone please share the sweet knowledge on how to knit a triangle.. I seem unable to wrap my mind around "every other". Thank you! basically the "every other side" means to add your increase on alternating sides, so if you increase on the front, the next increase should be on the back. Are you doing a bar increase? I had the same issue. 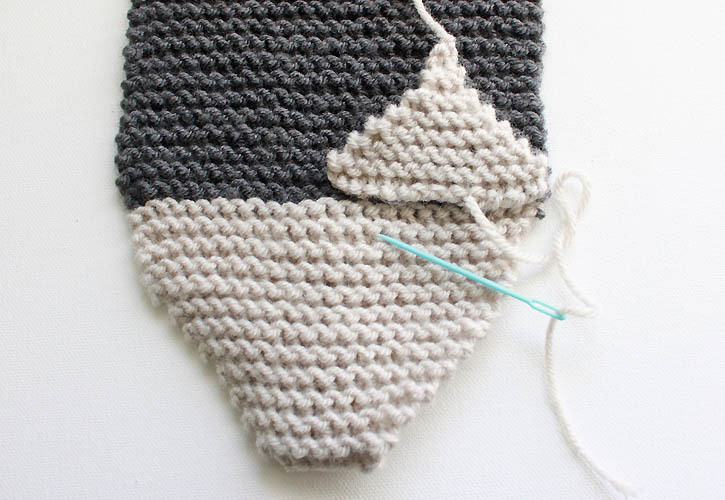 I started over and have been adding 1 stitch at the beginning of every row and it seems to be coming out correctly. Came across this pattern bout 3yrs ago. Both the Knitted and crochet versions. Did the crochet version using same colours but different yarn. and it is gorgeous, looks just like the picture.Can now knit basics and hope to have a knit version before next Winter. Love your work Gina. Very Cool.